If you need to reach us by mail, please contact me for our mailing address by email / text or facebook. 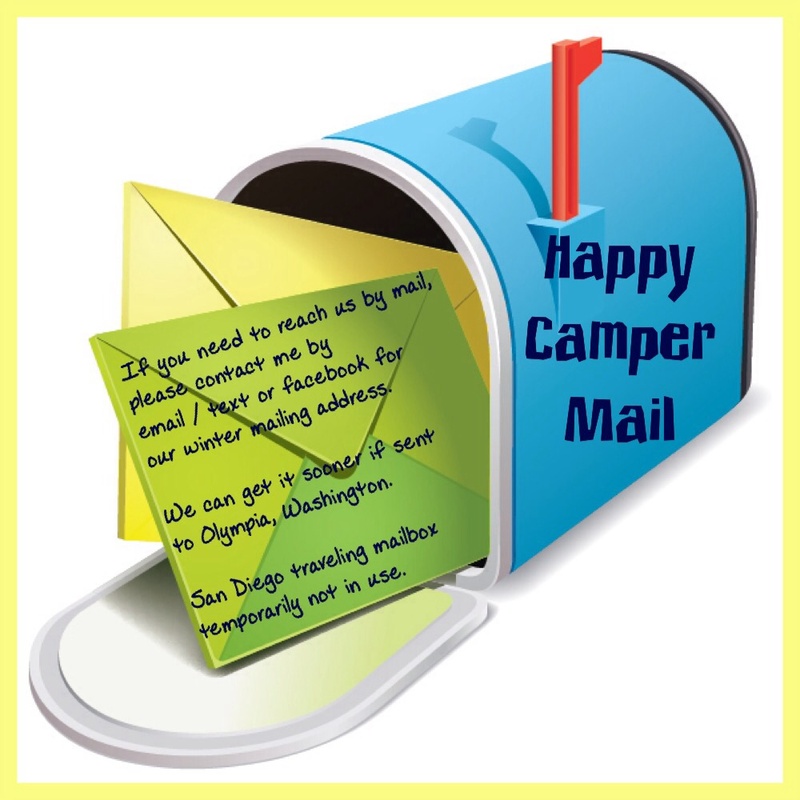 We can get letters sooner if sent to Olympia, Washington. San Diego traveling mailbox temporarily not in use.